Earn $54.19 in Rewards credit (5419 points) What's This? 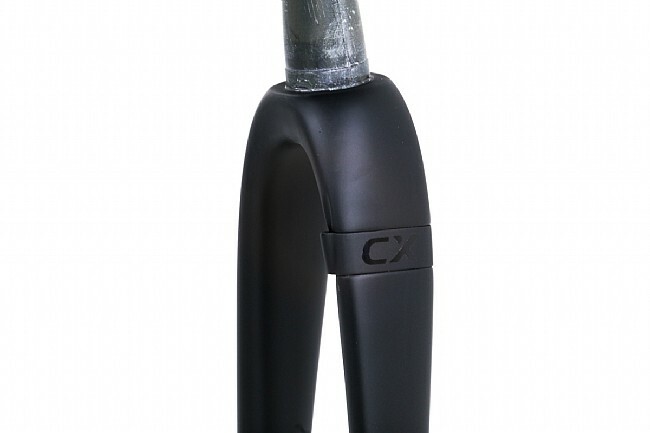 ENVE's Cyclocross Fork gets a revamp with 12 x 100 mm thru-axle dropouts to handle the incoming slew of disc brake wheelsets and to provide a stiffer front end that results in better tracking through the rough stuff. 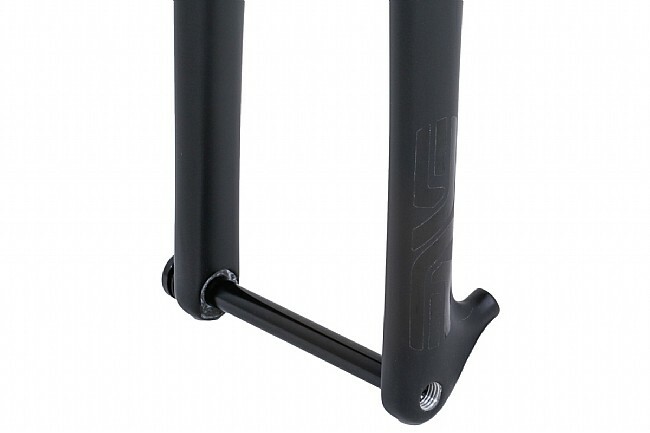 The one-piece carbon construction weighs in at just 466 g, including all of the 350 mm tapered steerer, and ENVE has designed this fork for use beyond racing with clearance for 700c x 45 mm tires. Post style caliper mounts natively take a 140 mm rotor, but the fork can take 160 mm rotors with the use of an adapter. 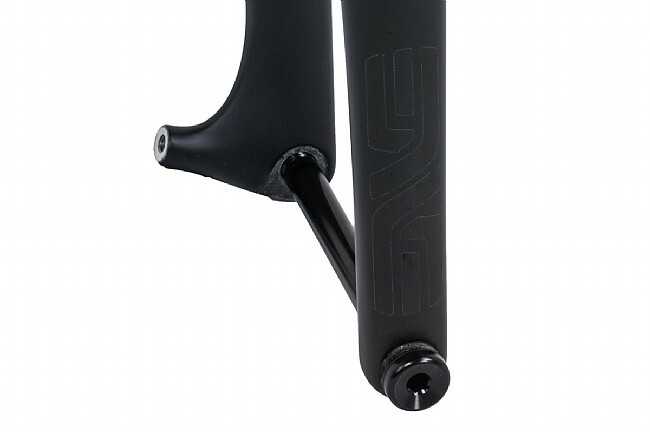 For a clean look, ENVE has integrated brake line retention clasps for routing hydraulic brakes. Claimed weight is 466 g. 1.125" to 1.5" tapered steerer. 12 mm x 100 mm thru-axle compatible. Post style caliper mounts.